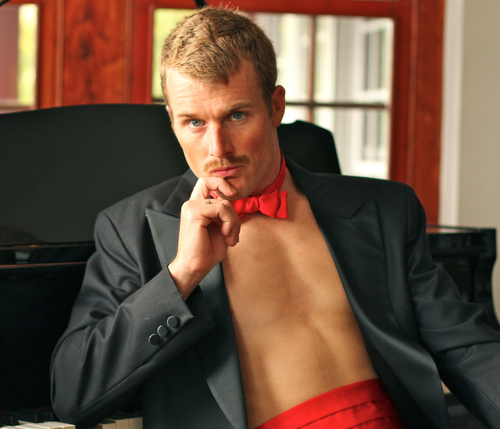 Two-time Olympian triathlete Tyler Butterfield is featured in the “Gloriously Mustached Professional Triathletes” calendar, with all proceeds from the calendar — which is designed to parody glamour photography — to be donated to the Movember Foundation. The group of professional triathletes from around the world appealed for buyers, pointing out that their mothers can only buy so many of the calendars. “Digital, photography, and fulfillment costs were donated. So we’ll take all the sales revenue minus the cost of the calendars and donate it to the Movember Foundation. Calendars will ship mid December. “This truly incredible offer is only available until December 5. Our goal is to sell 500, and our mom’s can only buy so many. So please do your part to kick the crap out of cancer and buy our calendar,” the website said. Triathon reports that Movember is a month-long event encouraging men to sport facial hair as a way to spur conversation about men’s health issues. Almost 1 million participants registered on the Movember fundraising site in 2013, including a group of triathletes passionate about men’s health issues. They have taken their passions one step further by creating a “Men of Triathlon” calendar, a parody of glamour model photographs. All proceeds from the calendar benefit the Movember organization, which funds research, education and support for prostate cancer, testicular cancer and mental health. The calendars are available for sale here online.